Inter-generational solidarity! Power to women! There is a big difference between flirting and harassment. Flirting is a back-and-forth thing and both parties walk away feeling good about life. Harassment is not a back-and-forth thing – one human being is saying or doing something to another human being without concern for the other person’s feelings or well-being. It is disrespectful to the other person, and it leaves the victim feeling disgusted and/or humiliated and/or helpless. It stinks. 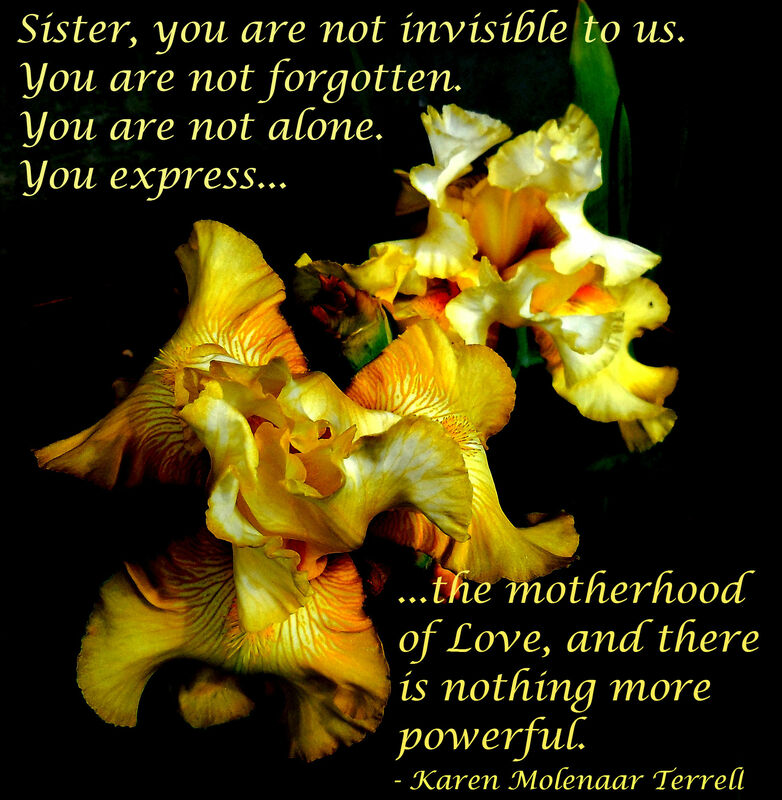 Sister, you are not invisible to us. You are not forgotten. You are not alone. You express the motherhood of Love, and there is nothing more powerful.